If your boat doesn't have SeaDek, it's not quite finished! 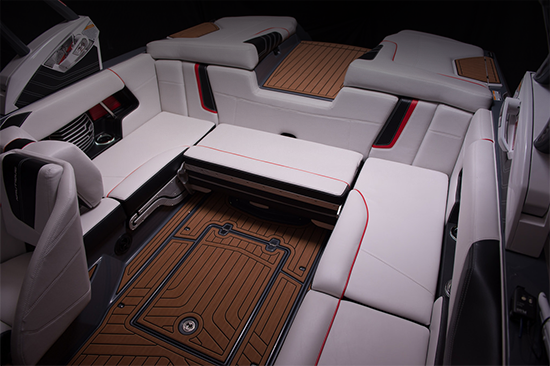 Upgrade your boat with stylish and functional SeaDek marine surfaces from DekDesigns. SeaDek is a high performance cushioned decking material that feels comfortable and stable underfoot. And with its stunning good looks, SeaDek adds a clean, high-end look to your vessel. No matter what kind of boat or watercraft you own, a custom SeaDek installation is the finishing touch of performance and luxury. Exceptionally durable, stain-resistant and easy-to-clean, SeaDek is a great investment in the value and enjoyment of your boat. SeaDek provides a soft, non-slip surface for swim platforms, walkways and everywhere you sit, stand or lounge. Soft, durable SeaDek gives a clean, quiet touch to storage compartments and gear lockers. Surface patterns, such as this faux teak, create interesting visual effects..
With SeaDek, slippery surfaces of hard deck become friendly carpets of luxury comfort. Add comfort, safety and a touch of style to tight spaces. Floors and Decks, Swim Platforms, Lounging Pads, Steps, Hatch Covers, Casting Platforms, Cooler Pads, etc. Helm Pads, Coaming Pads, Bolsters, etc. Powerboats, Sailboats, Deck and Pontoon Boats, Fish/Hunt Boats, Airboats, Waverunners, Paddleboards, Docks and Boatslips, etc. In addition to its exceptional ergonomic, non-slip and noise reducing qualities, SeaDek protects your deck surfaces from scratching, chipping and dents. SeaDek is easy to clean, stain resistant and extremely durable, even in the most demanding environments. SeaDek is a great flooring and surface treatment for a variety of indoor/outdoor applications such as RVs, campers, utility trailers, airplanes and more. With its versatility and ease of installation, our customers are finding new and creative ways to use SeaDek every day. The possibilities are endless! DekDesigns is an industry leader in the expert installation of SeaDek products. We offer complete customization and installation of our premium surfaces for all interior and exterior marine, recreational and commercial applications. 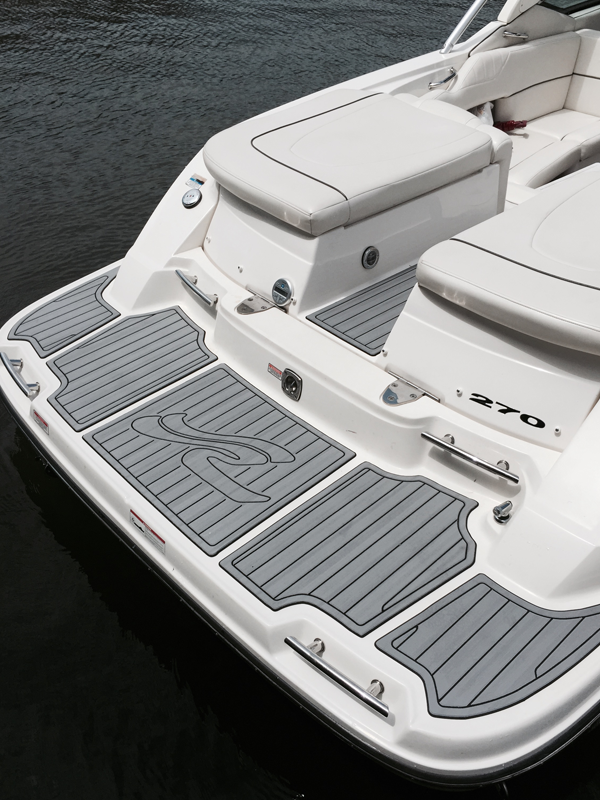 SeaDek flooring is a true luxury upgrade for your boat, and deserves a flawless installation. DekDesigns has the skill and experience to provide the highest quality finished product.